My first official lecture is tomorrow, but from the two days of introductions and orientations we have been having, I can safely say this: my program is going to be challenging, demanding, but also really interesting. The name of my house is Rødkløvervej. Go ahead… try and pronounce that. Try again. When I have the pronunciation down, I’ll post an audio file. I am living with six other students in a shared facility house and we represent the following nationalities (fully or partially): Canada, USA, Serbia, Germany, France, India and China. It’s a lovely house with a big backyard (that needs to be mowed!) and is conveniently located close to Aarhus University, grocery shops, city centre and the best student bars. I have one of the smaller rooms in the house but it’s more than enough for me. And it has gorgeous natural light. 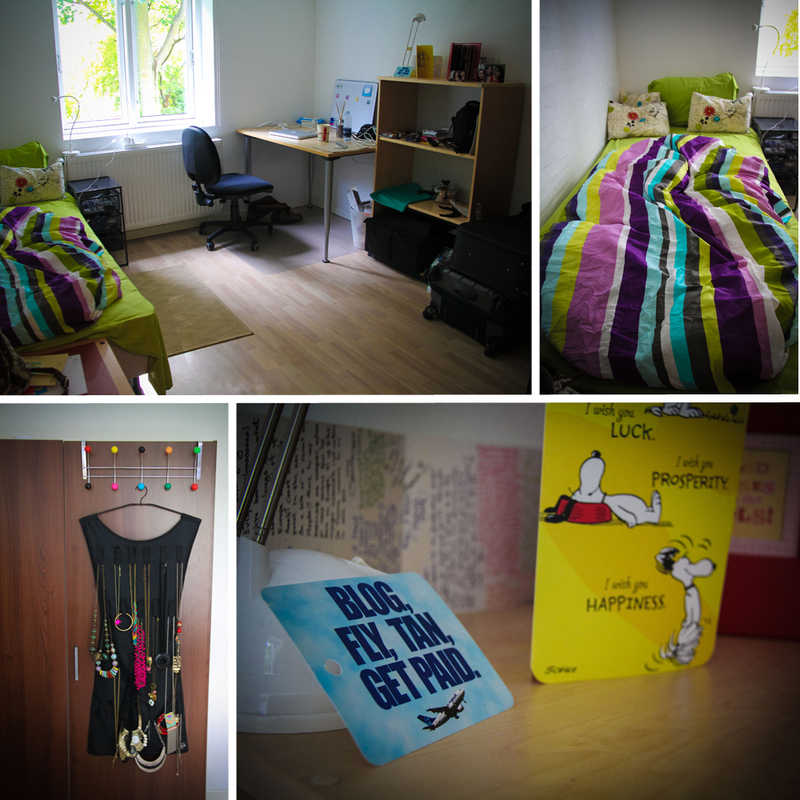 I am surprised how full (and untidy) it looks after only four days of me living here. Denmark is one of the most bike-friendly countries in the world: It offers bike share programs, there are bike lanes everywhere, automobiles have to give bikes the right-of-way etc. (my Toronto biker friends are going to be seriously jealous of this setup). So naturally, I decided to get a bike. Actually, it wasn’t that natural. I am suburban girl. My car was one of my best friends back home. Occasionally, I took public transit and walked places. I have never owned a bike. But, you know what they say about being in Rome, right? Do as the Romans do. So, I am doing as the Danes do. 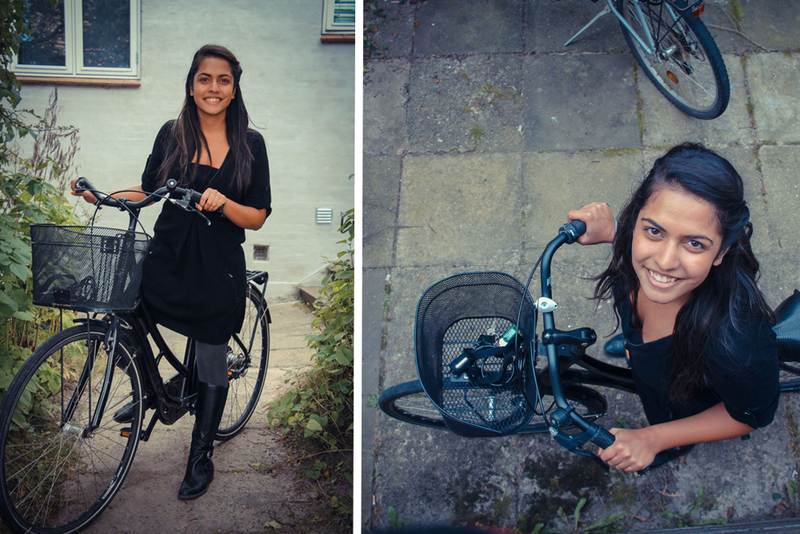 I was really fortunate to get in touch with a friend of a friend who said I could keep her bike after she finished her semester abroad in Aarhus. JACKPOT! I picked up the bike yesterday and I have already realized that I am a stereotypical North American: I am very out of shape. Biking to school is an uphill battle (no pun intended), but biking back is a breeze. I have to drive on the right side in the biking lanes to allow faster bikers to pass me. It’ll definitely take some time to get used to it, but so far, I am loving my wanna-be-Dane persona. And oh, I named her Nimbus. I trust Harry Potter fans will understand that reference. Man, I miss you. You look stunning, especially on your Nimbus *3000*! Man, I miss you more! Awesome post! I’m sure you’ll do great! I miss you the most!